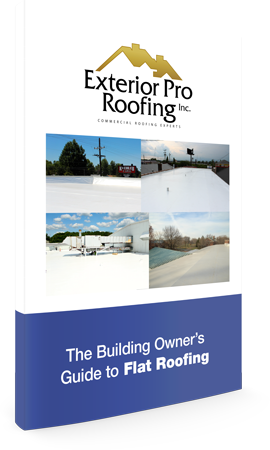 Winter roofing conditions can be tough and potentially dangerous, but check out how our guys overcome wet/frozen surfaces and continue to make progress throughout the Winter months! It is always important to make progress while still maintaining a safer working environment on our flat roofing projects. Even during the rainy seasons of Spring and Fall, a roof dryer can still come in handy to take care of those slick spots ontop of flat roofs from pop up thunder storms or moring dew.